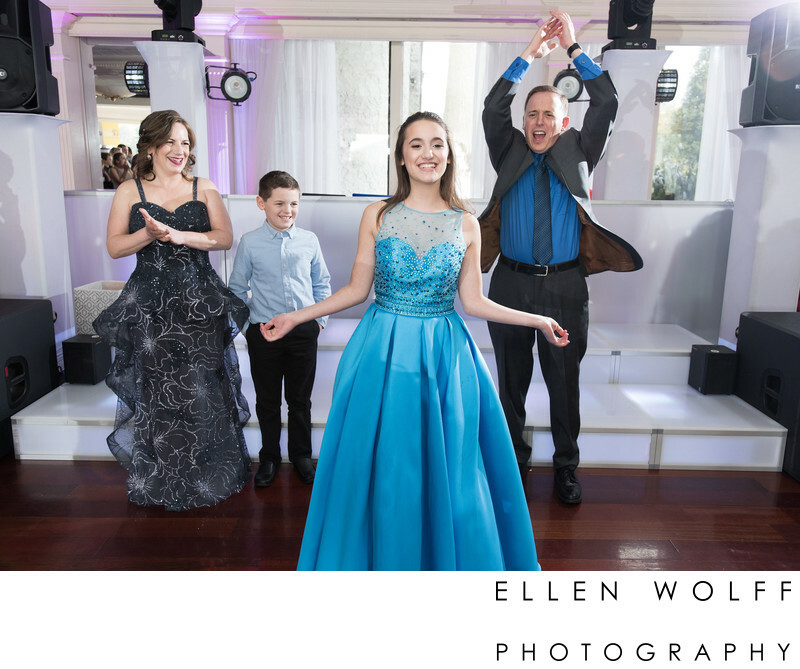 The grand entrance is one of the most exciting moments at a bat mitzvah. And it is one of the rare moments when the whole family is together. It is the perfect moment to capture candid family photos of everyone in the immediate family. The other opportunity is often the candle lighting ceremony. I love the father's excitement. This is such a high energy moment and a priceless family portrait. Location: 7725 Jericho Tpke, Woodbury NY 11797. Keywords: Bat Mitzvah (96), Fox Hollow Catering (3), Long Island (30).